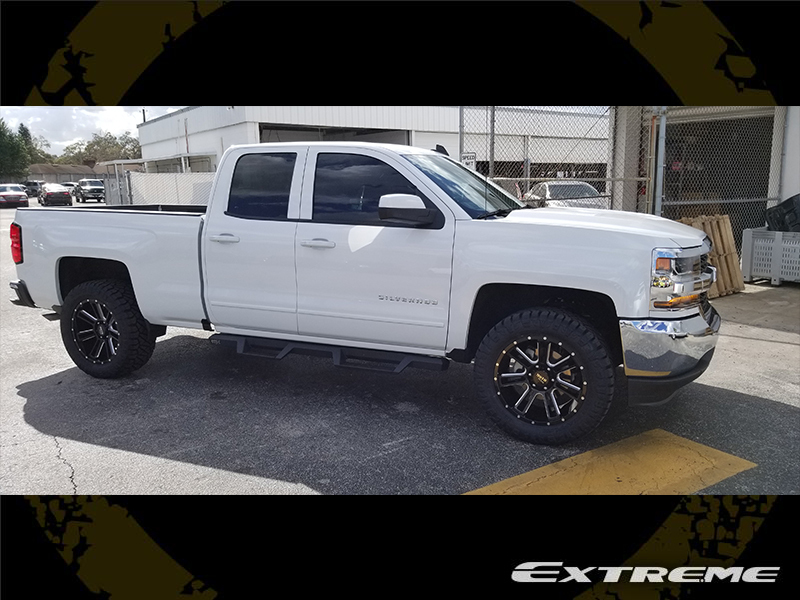 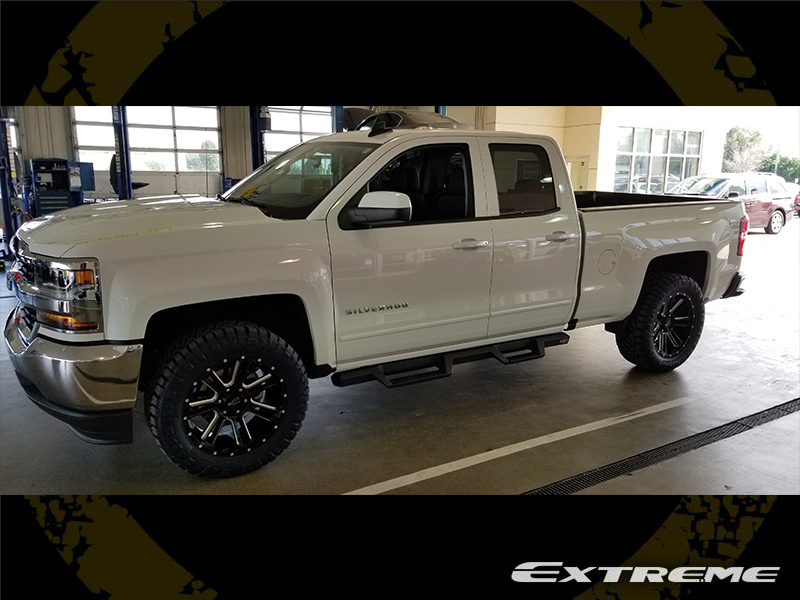 This 2018 Chevrolet Silverado 1500 LT Crew Cab Pickup 4WD has a Bilstein 2-inch Suspension Lift Kit installed with 20x9 Moto Metal MO982 Black wheels that have a +0 offset. 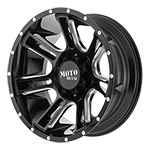 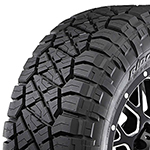 The wheels are wrapped with Nitto Ridge Grappler 33x12.5R20 tires that have a 33 inch overall diameter. 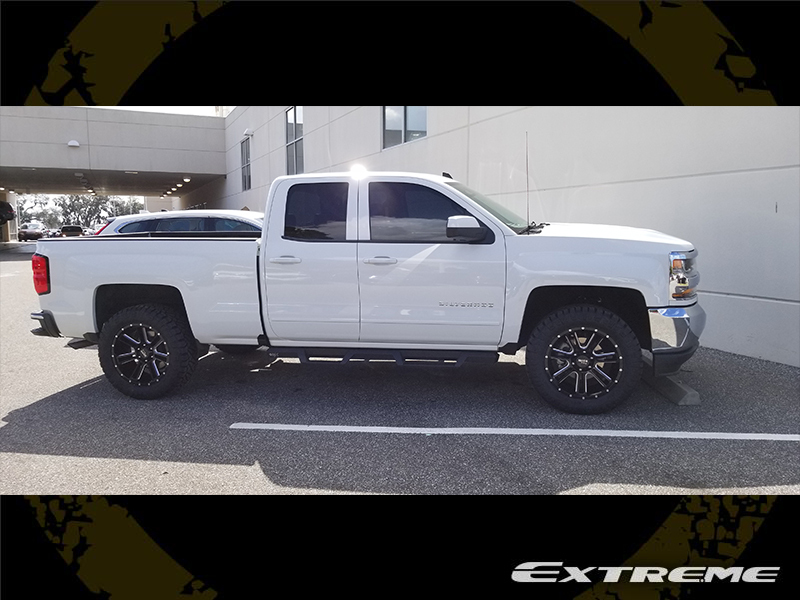 The stance is 2-inch outside fender. 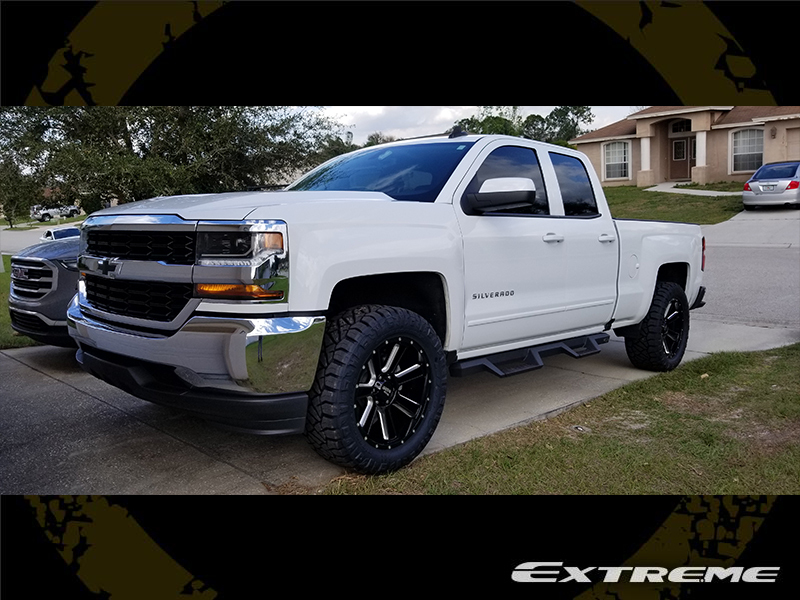 There was no trimming done to this Chevrolet Silverado 1500.